Providing abundant fruit and nectar, nutritious leaves, secure nesting sites and a steady stream of enriched litter, mistletoes represent an important resource for a wide range of plants and animals in their environment and have been described as ecological keystones. Just as the keystone ties a stone arch together, some species are considered to have a disproportionate influence on their communities, determining overall patterns of distribution and diversity. 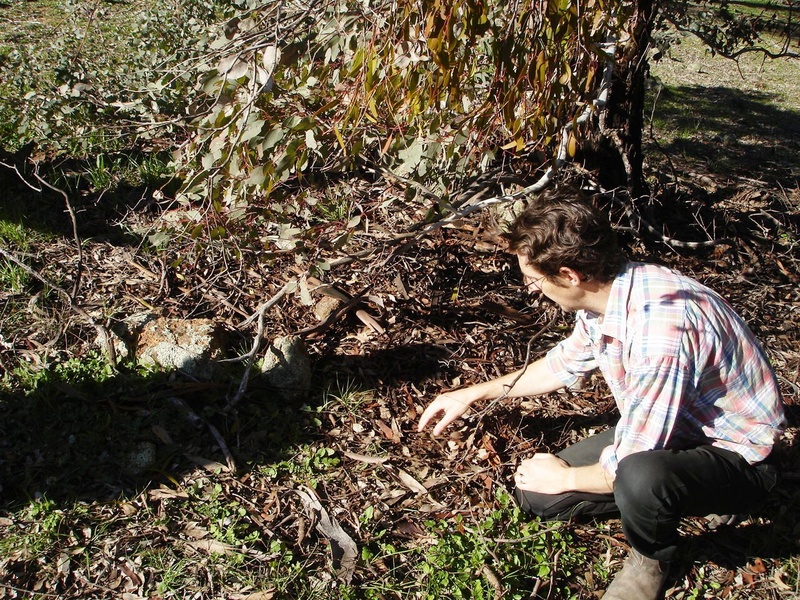 The effect of mistletoe on biodiversity was tested in a small-scale study comparing two fragments of woodland near Canberra pdf. All mistletoe plants had been removed from one of these woodlands by a landholder concerned about tree health, while the other woodland still contained mistletoe at the original density. Otherwise similar in all respects and separated by an unsealed road, these two woodlands offered the ideal opportunity to measure the community-wide influence of mistletoe. Comprehensive bird surveys were used to compare the communities of birds living in these two woodlands seven years after mistletoe removal. The woodland where mistletoes had been removed supported a less diverse assemblage of birds, missing 8 woodland-dependent species that were recorded across the road in the other site (a difference of 21%). For those 44 woodland bird species recorded in both sites, almost 70% were recorded less frequently in the removal site, including most species known to feed on mistletoe fruit or nectar. Although the first direct evidence of the effect of mistletoe on diversity (in Australia, and generally) this study related to just two woodlands, and needs to be confirmed with larger-scale comparisons. In a recent large-scale experiment, the keystone hypothesis was comprehensively tested. Forty fragments of box gum grassy woodland were used for this work, all located within the upper Billabong Creek catchment in the southwest slopes of New South Wales. After a full year of pre-treatment biodiversity surveys (including small mammals, arboreal marsupials, reptiles and birds) all mistletoe plants were removed from one set of woodlands, leaving the others as controls. Three years after treatment, another full year of biodiversity surveys was conducted, allowing the effects of mistletoe to be measured directly pdf. The results were striking, with the number of woodland-dependent bird species decreasing by more than a third. Rather than fruit-eaters or nectar feeding species, the group showing the greatest declines are insectivores, especially those species which feed primarily on the forest floor. This study attracted considerable media interest, including articles in the New York Times, Economist and New Scientist. This unexpected finding ties in with parallel work on mistletoe litter, mistletoes shedding leaves far more frequently than their hosts. 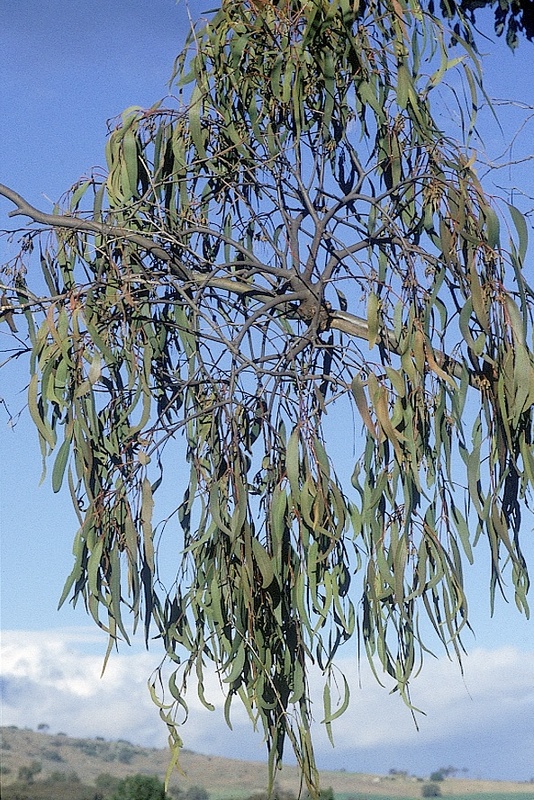 This is especially apparent in eucalypt woodlands, where leaves may be retained on the tree for three to four years, but less than one year on the mistletoes parasitising them. Individual trees infected with mistletoe do not shed any more (or less) leaves than uninfected trees, and the addition of mistletoes in the canopy led to dramatic increases of total litter-fall: trees with around 10% of the canopy comprising mistletoe leaves yielded double the overall litter over a 12 month period (measured as dry mass) pdf. As well as a high rate of litterfall, mistletoe litter is enriched with nutrients. Unlike other plants that actively withdraw nutrients prior to shedding (to conserve them), mistletoes drop their leaves as is, with shed mistletoe leaves containing far more Potassium, Phosphorous, Manganese and a range of other elements than their hosts. Thus, the addition of several mistletoe plants to a tree’s crown leads to a substantial increase in the quantity and quality of litterfall. A final difference between host and parasite litter is in seasonality. As anyone with native trees and shrubs in their garden can attest, many eucalypts and wattles shed most of their leaves over the summer months. Mistletoe plants shed their leaves year-round, extending the overall period of high litterfall to include most of Spring and Autumn. The effects of more litter containing more nutrients available over a more extended period are noticeable in the soil and understory vegetation. The availability of all 11 elements measured increased beneath infected eucalypts compared with otherwise comparable trees, these patterns confirmed by manipulative studies in controlled laboratory conditions. Decomposition rates of litter were delayed by the addition of mistletoe leaves, slowing overall rates and leading to a steadier supply of the nutrients needed for plant growth, as well as a more persistent layer of litter reducing evaporative losses of water from the forest floor (just as a thick layer of mulch retains water in garden beds). The composition of understory plants reflected these bottom-up changes, with a greater proportion of annual plants found beneath infected trees. These effects were most apparent directly beneath mistletoe clumps, leading to an increase in the variability of soil fertility and understorey composition at the stand scale pdf. In ongoing work, I am exploring the connection between litter quantity and quality and the availability of litter-dwelling invertebrates. This work involves small scale experimentation (litter removal and addition) as well as observational studies on where insectivorous birds preferentially forage. And here I was thinking mistletoe was something to do with xmas. Its amazing what you find when you really look. I wonder how many other bushland species are quietly waiting to be thoroughly researched before we start chopping. Seems mistletoe ‘infected’ trees don’t suit human tastes for ‘order’ so chop it off. Maybe we shouldn’t call them ‘infected’. ‘Selected’ by mistletoe? ?